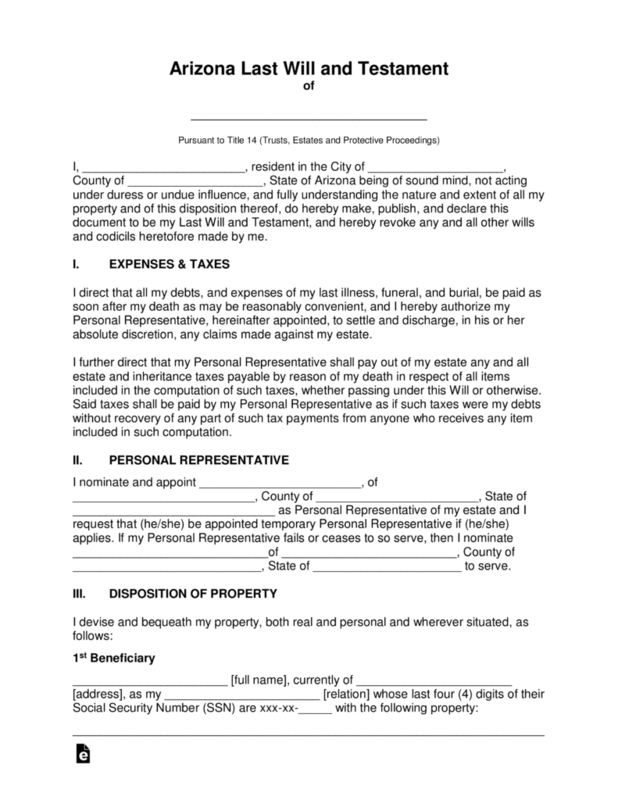 The Arizona Last Will and Testament is an important legal document that’s used in planning for the distribution of your personal, digital, fiduciary and real property at the time of your death. 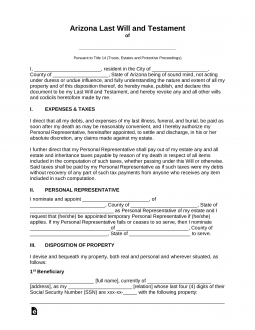 Arizona will allow the testator (the person creating the will) to provide for their family members, friends even charitable organizations by putting this document into place. This document will require two (2) witnesses in order to be legally accepted under State laws and may be revoked at any time by the Testator. Signing (§ 14-2502) – Two (2) Witnesses. Step 7 – Notarization – To complete the document, the notary must complete the remainder of the form after witnessing of signatures.